Custom designed to suit your needs, unique and completely functional - these are the main features we guarantee for your website. We start from scratch with each project and we don't use templates like Wordpress, Joomla or Drupal. Instead, we have created our own CMS (Content Management System), which will allow you to manage your website exactly as you wish. Moreover, you will benefit by maximum flexibility - do you think you'll need to make changes or add more features to your website in the future? No problem, we will be able to implement them because we have full control over our CMS. Do you want to manage your business with more efficiency and better control? Did you notice your employees spend too much time with paperwork and filling excel tables? Do you need an intranet portal? Do you want to sell your products online? We offer the solution to all these requests by means of a PHP database web app, designed and developed exactly for your needs, no matter how large or complex your business is. The app will work on any browser (Internet Explorer, Mozilla Firefox, Google Chrome, Safari, etc.) and the users will have access to different areas and functions, according to permissions levels set by you. The users will be able to upload any kind of digital content, including documents and multimedia content and the app will perform automated tasks to generate reports and statistics, alerts, etc. The fact that more and more people prefer to access the web by means of mobile devices instead of PCs is not a surprise anymore. It is just a matter of time before the classical desktop browsing will be overtaken by mobile browsing. Smartphones and tablets became very good at browsing desktop websites but the user experience suffers mainly because of the smaller screens. The solution is to optimize the way content is displayed on these screens or in other words, to develop mobile versions for web sites. No matter if you already have a website and you want a mobile version, or if you need a web app specially designed for your iPhone, smartphone or any other mobile device - we are prepared to help you. Do you want to improve the visibility of your website on the Internet? Do you want your website to be ranked higher by search engines for relevant keywords or expressions? We offer more than just web design. We can create the visual identity for your business and we will design your logo, brand manual and your business cards. If you need printing materials for advertising, we can design brochures, flyers, catalogs and posters. We can help you even with 3D modeling and rendering for your products, interior design, etc. We adhere to the principle that says perfection is attained not when there is nothing more to add, but when there is nothing more to remove. We believe the content has to be the star of any website, not the visual artifacts. Clean, aesthetic and functional - this is what your site will look like if you give us free hand. We are aware though that you might think different, so we are open and prepared also for this case. We are capable to provide elegant solutions even for budget websites. 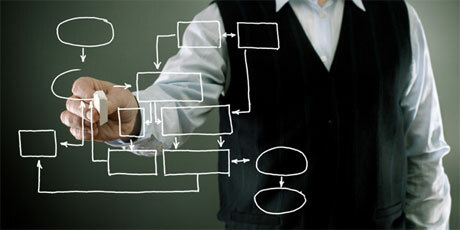 Our websites and applications are modular, they may or may not have a content management interface. We can start with something basic and in time, we can add content and functionality as needed.